A few things have changed since the last time we completed a feature article on what to look for when buying a laptop, but the main thing we want to highlight for this particular instalment is processing technology. Intel has come along and redefined the way slim laptops and 2-in-1 hybrids can be constructed thanks to its low-energy, fifth-generation Core M CPU. Armed with the Core M, laptop manufacturers have been able to create not only thinner and lighter products, but also silent products, thanks mainly to the CPU not requiring an active cooling device, which can be cumbersome and noisy. Better yet, these good traits haven't come completely at the expense of performance, as the Core M can still boast of frisky enough performance for everyday office applications, home entertainment, and communications tasks. It's an interesting CPU to focus on because it has been specifically designed by Intel for thin, light, and silent computing. It isn't just a low-power version of a Core i processor, or a jacked up version of the Atom -- it's a new CPU based on Intel's most advanced manufacturing process (14 nanometres) that's designed with a purpose. That purpose is to bring a full Windows computing experience to smaller 2-in-1 and laptop form factors. With this CPU, manufacturers have already created silent-running hybrid laptops that can offer a comfortable user experience, without compromising heavily when it comes to speed for mainstream tasks. We've seen it in the Lenovo ThinkPad Helix 2, and also in the Toshiba Portege Z20t. We also saw it in the Lenovo Yoga 3 Pro convertible laptop last year, though that laptop still has a fan in it and doesn't run completely silently. Apple and Asus are therefore the first manufacturers to announce actual laptops (and not hybrids or convertibles) based on the Core M CPU, and there should be plenty more to come we would think. After all, who doesn't want to have a thin computer that runs completely silently? The fan-less Core M is merely the next step in the advent of silent laptop computers. The first step was moving from hard drives to solids state drives. There will be a price to pay for these silent laptops, however. 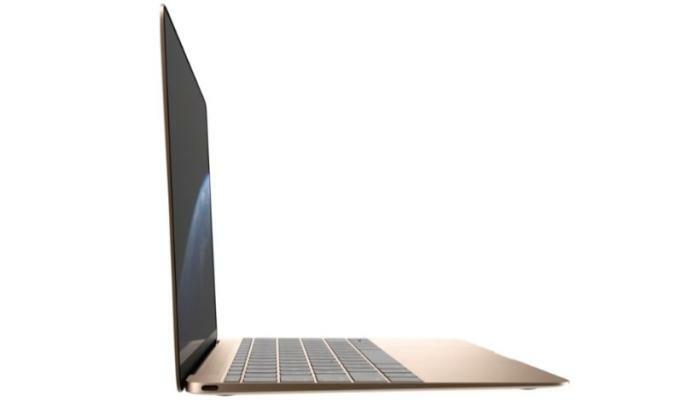 The new MacBook will start at $1799, while the Asus ZenBook will be a more palatable $1399. The business gear remains expensive, as always, with the Toshiba and Lenovo hybrid laptops commanding price tags over $2000. The key point we're making here is: if you want a silent, thin and light laptop that can give you a full and comfortable Windows experience, wait for one that has an Intel Core M CPU in it.